← BLS Stats: Adjusted or unadjusted, is that the only question? Incredible Shrinking Air Force Continues to Shrink. F-35 Production Cuts Go International. The $489 billion cut to defense budgets engineered by Barack Obama — as well as the played-for-fool Republican accomplices on Capitol Hill — won’t just mean less American military power. These cuts have significant consequences for America’s allies, as well. 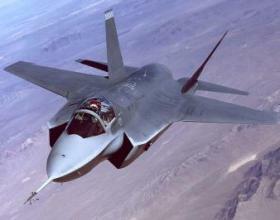 Consider the case of the F-35 Joint Strike fighter program. The Obama Pentagon has reduced the 2013 purchase of Lightnings from 42 to 29 and reduced the planned five-year buy by more than 100 aircraft. This will drive the cost of each F-35 up, yet again; the development costs of the plane remain the same regardless. And because the JSF program has been an international effort since its conception, Obama’s decision increases the cost for everyone. Thus it comes as little surprise that yesterday Italy announced a significant reduction, from 131 to 91, in its planned F-35 purchases. Rome’s decision threatens to sow doubt among other international partners. The timing of the announcement, only days after the U.S. fiscal year 2013 budget was released, shows that the Italians are following Obama’s lead — the White House has given them cover in using defense reductions as the principle ingredient in accepting government “fiscal discipline.” In “extending” the U.S. buy of F-35s—in practice, the purchase of 179 fewer Joint Strike Fighters through fiscal year 2017—the United States has thrown into question the economics of the program and opened the door for partner-nations to back out of commitments. Indeed, the fate of the F-35 program is as good an indicator of the depth and breadth of Barack Obama’s retreat from U.S. military preeminence. If more international partners on the project start bailing or similarly “extending” their F-35 plans, the pace of American and allied decline will accelerate. This will come as no surprise to Weekly Standard readers since this was foreseen some 2½ years ago when “A Good Day for the ChiComs” appeared in the magazine’s blog. Well, we’ve certainly come a long way since Lindberg’s day, though a bit of his American “Spirit” somehow seems lost. We certainly won’t need any piloted aircraft for tactical nuclear weapons delivery since we won’t have any — tactical nuclear weapons, that is. With our fairly recent signing of a nuke weapons reduction treaty with the Ruskies, and our even more recently announced unilateral nuclear disarmament plans, Obama has moved a long way towards fulfilling his campaign pledge to give us a U.S. nuke-free world. He just seems to have forgotten about everyone else on the planet. Meanwhile, the Chinese just keep expanding their 1999 Panama beachhead. Wonder how long it will be before Mandarin replaces Spanish in Latin America? Perhaps the People’s Liberation Army would be interested in buying the ol’ Rosey Roads naval base and air station on Puerto Rico that’s up for sale online? After all, we don’t need it anymore. 1 Response to Incredible Shrinking Air Force Continues to Shrink. F-35 Production Cuts Go International. 70 years of geo-political advantage pissed down the drain in mere years, by this mendacious muslim/socialist/community organizer foil. as bugs bunny would say, “… an ultra maroon.” the perfect storm, obama the idiot with the liberal twits of the 1960’s, combined in power at precisely the wrong time.